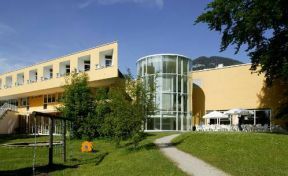 At the foot of Salzburg’s local mountains, surrounded by a 45.000 m² nature park, our hotel is located in the beautiful neighborhood of Aigen. Just 10 minutes from the old city center, with easy access from the train station and the highway, St. Virgil is truly a place to catch your breath. Far from the hustle and bustle, here you can find peace and quiet following an event or busy day in Salzburg, the city of Mozart.